I am very much a scent oriented person. The husband jokes that I have a sniffer like a dog - I'm super sensitive to smell, which can be both a good and a bad thing depending on the scent! Perfume is one area in my beauty routine in which I lack, and the main reason why is because many perfumes trigger migraines with me, so I typically stick to mild lotions and body splashes. It makes me sad because I would love to expand my perfume collection. So, when Pinrose reached out to me to try their new fragrance collaboration with Sephora, I was really excited for the opportunity! Pinrose is relatively young, originally launching in 2013. What is really unique and interesting about the brand is that they developed an online, scientific quiz for consumers. Their preferences for colors, sounds, shapes, and textures are analyzed to determine three Pinrose scents that best complement their personalities. Scents mean something different to each person after all! There are only 20 Sephora stores across the country currently stocked with the Pinrose line as of March 21st. But don't worry, it's just a soft launch and the full rollout will take place later this fall. 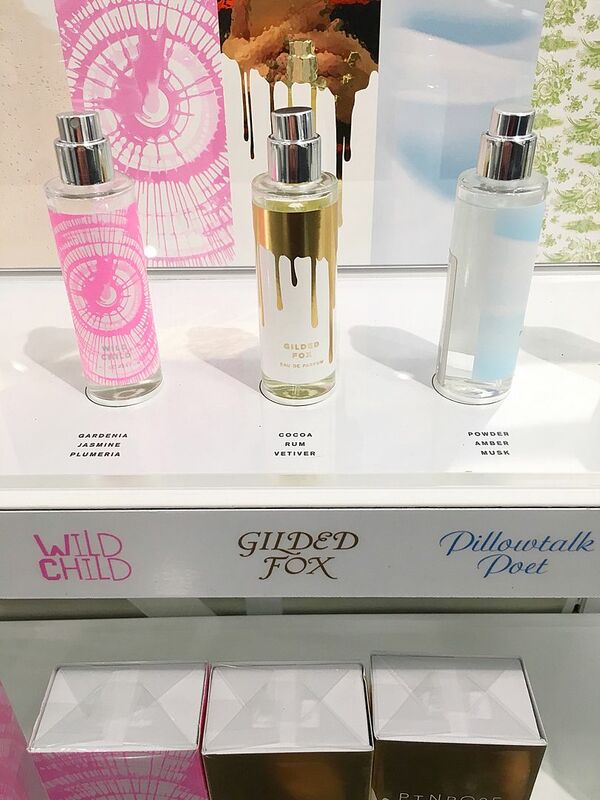 To whet my palette for these scents, Pinrose sent me samples of Gilded Fox and Wild Child. What's really funny is that I shared each scent with the husband asking him which he preferred more. I didn't tell him what they were called, I only had him sniff them! He was torn about which he liked more. He said that they were both pretty different - one smelled carefree and playful while the other one smelled more sophisticated and subdued. When I told him what each of them were named, he was pretty smitten with himself that his descriptions completely matched! I was impressed myself! I wore each scent for a full day each to make sure they kept me migraine free, and they both did! Yay! Win! Wild Child is definitely something I would wear, which is part of the reason why I preferred Gilded Fox - just to try something different. Gilded Fox definitely has a strong chocolate undertone to me, but not to the husband. Again, scents are different to each person! You guys know how much I love layering clothes, but I've never layered scents together before. Pinrose is clever because you can easily tell which scents will layer well together if their packaging coordinates with each other. I tried all 8 remaining scents, narrowed down my top three favorites, and then layered each with Gilded Fox. My favorite scent completely on its own was Merry Maker - it was super light and refreshing with just the right amount of sweetness. But I found that Cuddle Punk and Gilded Fox created my favorite layered combination! 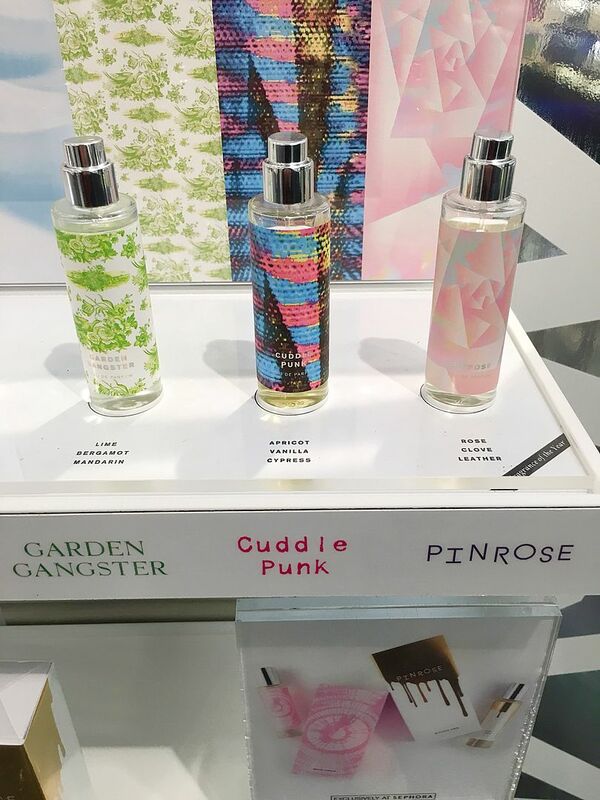 Cuddle Punk toned down the chocolate smell (in a good way), and made the scent even more complex and interesting. I decided to test the skills of their online quiz at Sephora to see what the results would recommend for me. Lo and behold, Merry Maker was the first scent they suggested I would like. You can call me a successful case study! If your local Sephora isn't one of the 20 locations picked for this soft launch, don't fret! You can snag this Parfum a-go-go online! 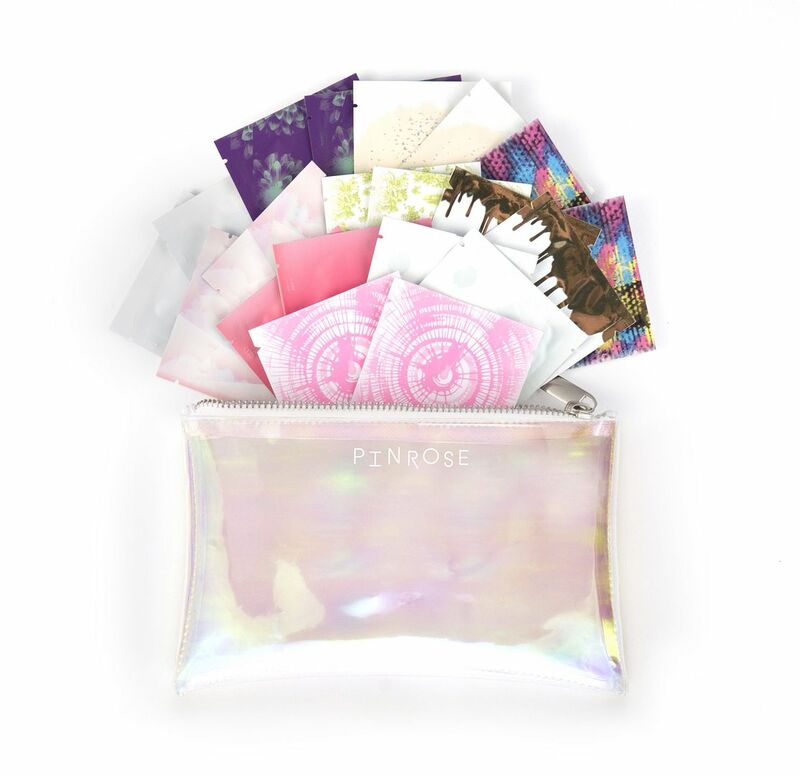 It contains 2 perfectly moistened toilettes of each scent and comes in this adorable iridescent pouch. If you try it, I would love to hear what you think, and which scent(s) match your personalities! Disclosure: Pinrose sent me samples of Gilded Fox and Wild Child to try, and is sending me a full sized bottle of Gilded Fox. However, there was no obligation to post and all opinions shared in this review are my own. I am very sensitive to smell also and very picky about my fragrance. Husband and I rarely agree, I like light florals and he likes dark, deep musky scents, big difference between. I look forward to trying these scents. I am so into scents. I recently bought Christian Dior 1947 "New Look" but this sounds so enticing. I might have to go scoop it out! These look great, I'm pretty picky and sensitive about what I wear. Thanks girl!